The summers in Las Vegas are nearly unbearable. Daytime temperatures regularly top 120 degrees. Some days, you just need to rent a car and get out of city. Luckily, Mount Charleston is only an hour away and the temperature is often 30-50 degrees cooler than in the valley. 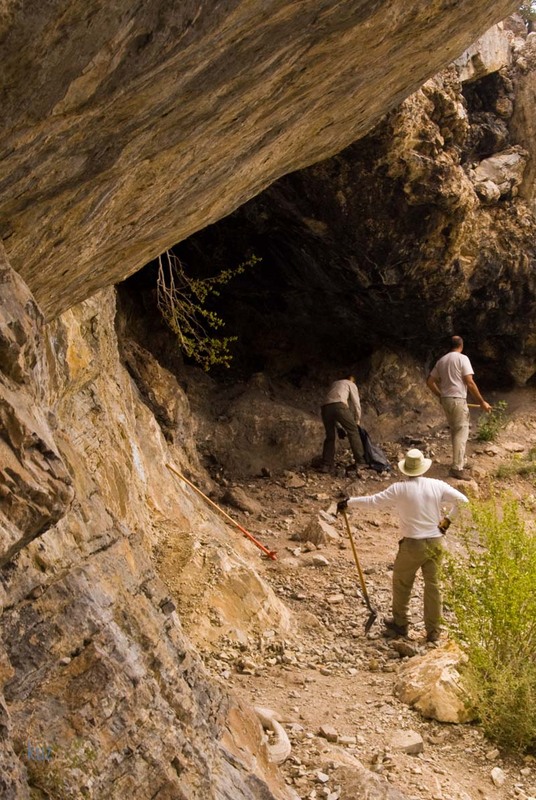 One of my favorite hikes is to hike the Trail Canyon trail to Cave Springs. The trail is mildly strenuous with 1500 feet of elevation gain to the spring spread out over 2.5 miles. The return route is the same making the entire hike 5 miles total round-trip. The last time I did the hike, my friend Kaitlin forgot her tennis shoes and managed the hike in her flipflops. She had a bit of trouble on the steep rocky middle section of the trail, but she handled it without falling once. If you're an avid hiker, the trail might not seem like anything special, but it definitely has its charm, especially after you've been cooped up in a smokey casino for several days. The evergreen trees, blue skies, fresh mountain air and the birds chirping will re-energize you for that inevitable 8 hour blackjack and whisky binge you've been planning for your last day in Vegas. 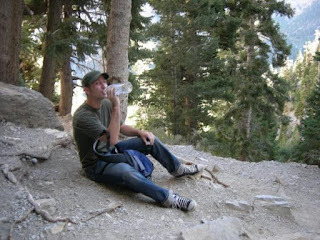 I am always weary of drinking unfiltered water, but I saw several people filling their water bottles at the spring. I’ve done the hike several times, mostly I the summer months, and the spring was running every time. I assume it must run continuously all year, but I was unable to verify it online. The trails are often closed or inaccessible in the winter months because of snow accumulation, so check the status before you head up. 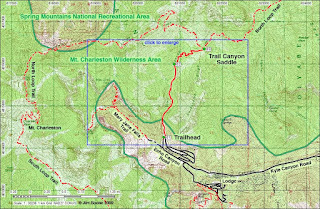 If you continue past the cave spring for another ¼ mile, you will reach the junction for the North Loop Trail to the Summit of Mount Charleston. 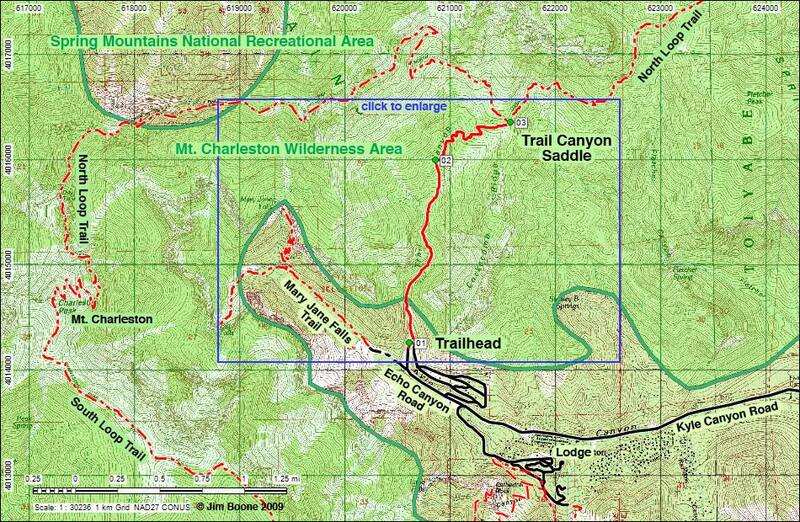 I’ll post a map and a link at the bottom of this page with more information about the Mount Charleston Hike. 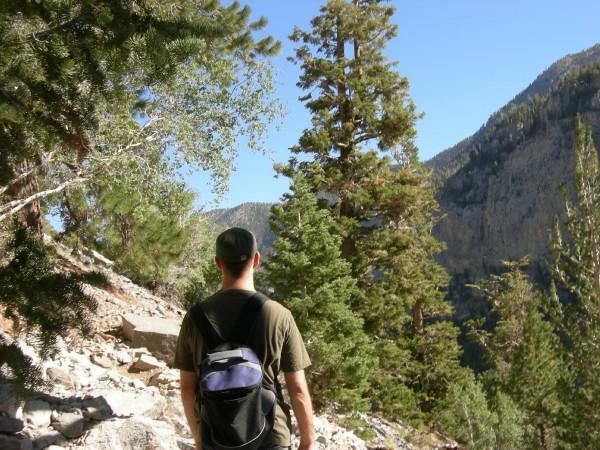 This hike is located in Kyle Canyon up in the Spring Mountains National Recreation Area, approxmitely 1 hour northwest of Las Vegas. Take 95 North out of Las Vegas and turn left onto Kyle Canyon Road (route 157). Follow Kyle Canyon Road for 20 miles to the Trail Canyon Trailhead. If you conquer the Cave Springs hike and you feel like hitting another short, mildly strenuous 3 mile hike, you can access the Mary Jane Falls Trail from Echo Road and see two additional waterfalls. For a first timer, I would probably recommend this hike instead because its a bit more scenic.